Singapore, 13 May 2016 - In the Age of Big Data, the growing demands for storing and archiving data can be an expensive challenge. Panasonic’s blu-ray data archiver is the first of its kind optical disc-based data archival solution - using proven technologies to dramatically extend the lifespan of stored data, improve compliance while lowering operating expenditure. The information assets of companies and public agencies are globally on the increase year by year. Analysts predict digital data generated worldwide is expected to reach around 45 zettabytes (ZB) in the next four years. More reliable and efficient storage systems will be required to manage these enormous volumes of data. Data archives are currently stored on either hard disk drive (HDD) or tape-based solutions; technologies that tend to have relatively short lifespans and high energy requirements, which leads to increased operating costs. Panasonic’s blu-ray data archiver delivers reliable data storage that lasts five to ten times longer than either tape or HDD archives. This longer lifespan reduces electronic waste, and when combined with lower cooling needs and energy requirements, makes blu-ray archival more environmentally friendly than alternative storage solutions. Panasonic’s blu-ray data archiver’s large storage capacity caters to organisations that deal with high data volumes. Blu-ray archival storage is also a WORM (Write Once Read Many) medium, which makes it tamper proof and ideal for compliance. ● More energy efficient – Blu-ray archival systems require less power and run cooler. ● Lower per bit cost – Cheaper high-capacity storage that lasts longer, removing the need for costly data migration. 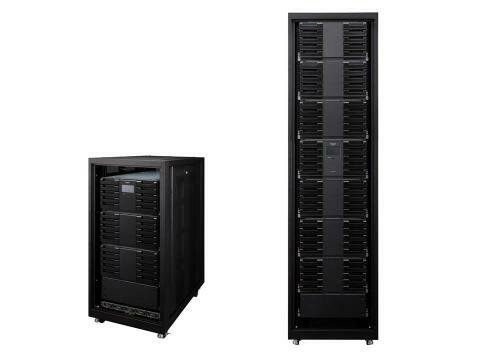 ● Greater reliability – No physical wear on the storage medium means fewer failures, while still supporting best-in-class practices such as RAID 5, 6 and WORM. ● Longevity with a life span of more than 50 years – Eliminates wastage and landfill required to get rid of alternative storage mediums. “The growing demands for active, and long-term, archival storage present a number of challenges that can strain existing archival systems. Panasonic’s blu-ray data archiver is uniquely positioned to address these challenges – from reliability, data integrity, cost and environmental footprint – as compared to existing solutions,” said Hideo Yonenaga, General Manager, Storage Business Division, Panasonic System Solutions Asia Pacific. Small and medium enterprises, who may not have the resources or data volume to justify investing in on-premise archival solutions, can still benefit from blu-ray archival technology. Plan B, a New Zealand-based provider of hosted infrastructure and business continuity services, recently launched the world’s first cloud-based archive-as-a-service technology, which is built on Panasonic’s blu-ray data archiver. Plan B’s Cloud Data Archive service, hosted on Panasonic’s blu-ray archival technology, is available directly from Plan B. For more information, please visit clouddataarchive.sg.